I moved to Las Vegas from Israel 20 years ago and still today, my favorite attraction is the Conservatory and Botanical Gardens at the Bellagio. Each season, an enormously talented team of horticulturalists and designers transform this 14,000-square-foot floral playground into a showcase of distinctive sights and colors for spring, summer, fall and winter—along with a special display for Chinese New Year. 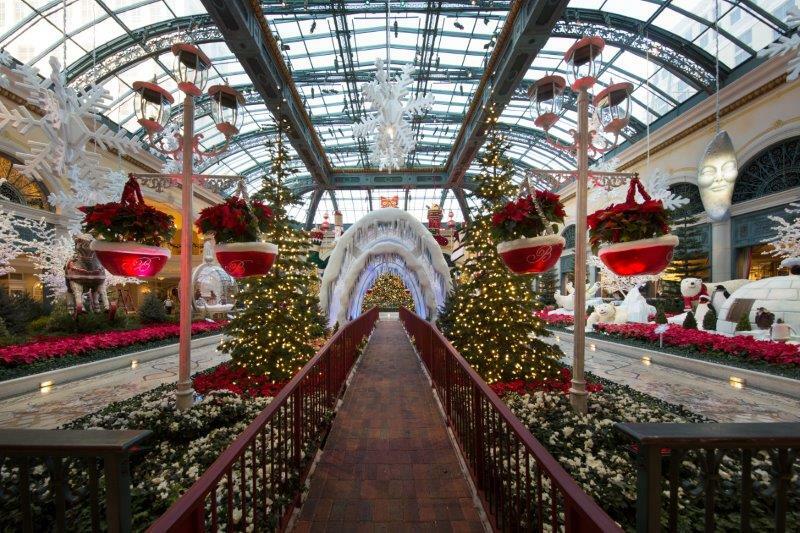 When the seasons turn and the displays rotate, 90 percent of the trees, flowers and plants in the conservatory are recycled to further celebrate our commitment to the earth. 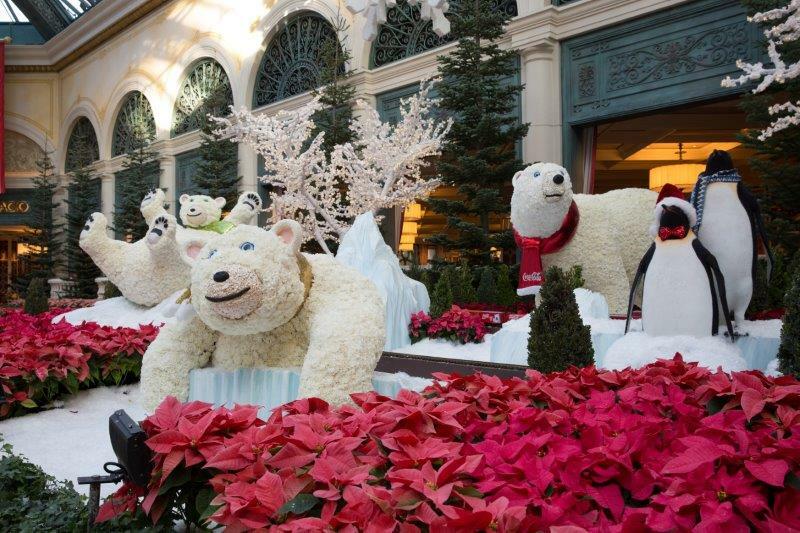 Each year, I wait patiently for the polar bears, snowflakes and holiday tree to show up for the Bellagio’s annual winter display. It always puts me in the perfect mood for Christmas. At the center is a 14-foot-tall snow tunnel framed with bright red Poinsettias and white Silver Tip Fir trees. 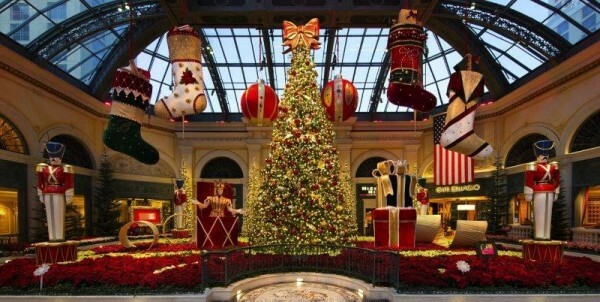 It leads to the tallest and most magnificent holiday tree on the Strip. The 42-foot-tall White Fir is decorated with 7,000 colorful lights and 2,500 ornaments. 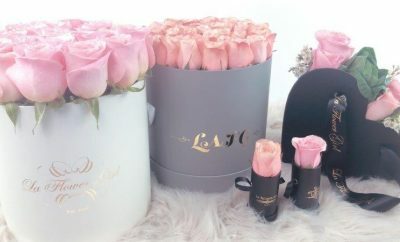 Other highlights include four giant animated toy soldiers moving in unison, a massive Jack-in-the-Box surrounded by gifts and three polar bears made with thousands of white carnations. 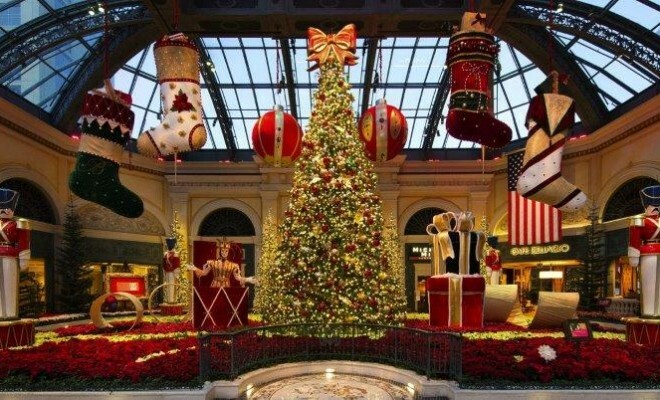 It’s a true representation of Christmas, the best time of the year, when beauty, laughter and love are all around us. Friends and family get together to share a meal and enjoy each other’s company while celebrating not only the true meaning of the holidays, but to also celebrate a world where everyone is kinder to each other. 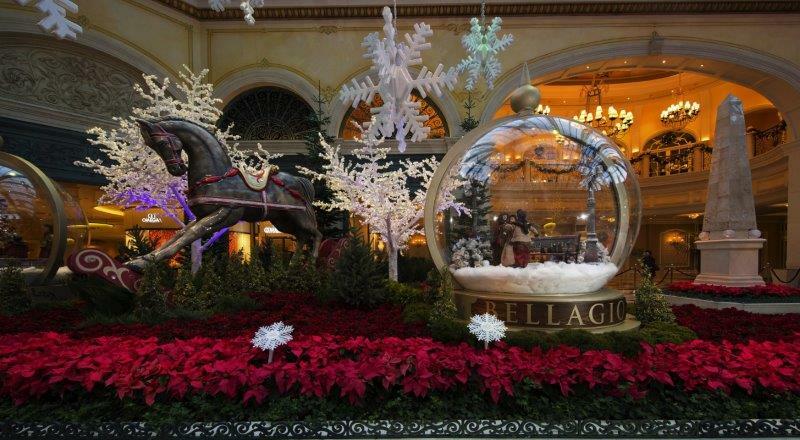 The best part about the Bellagio Conservatory and Botanical Gardens is that admission is free while open to the public 24 hours a day, seven days a week. That is a major asset, especially since money is tight during the holiday season.